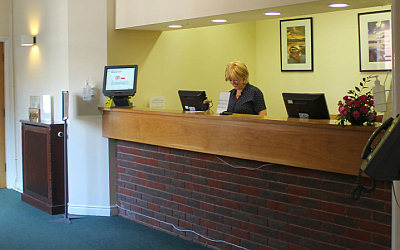 Appointments are available every week day between 08:30 and 18:30. On Mondays, Wednesdays and Thursdays, we have appointments available until 19:30 and on alternate Saturday mornings between 08:30 and 10:30. These appointments are routine pre-bookable. When you contact us to make an appointment, the doctors have instructed our reception team to ask you if you can tell us what the appointment is for. This information is to help you to get the right appointment with the right clinician—and of course if you do not wish to impart this information, the receptionists will respect your decision. The receptionist may be able to help you immediately; take a message to a clinician and contact you with the answer; arrange a telephone or a face to face consultation—either with a practice nurse or a doctor. Routine appointments with a doctor can be pre-booked up to two weeks in advance. We recommend you try and plan ahead to ensure you get an appointment with your first choice of doctor. The practice believes in continuity of care, and we encourage you to see the same doctor for your particular medical condition on each occasion. There will be times, however, when your first choice of doctor is not available, due to training or leave. If you have a medical problem which you feel needs to be dealt with urgently, for example an acute infection or severe pain, please telephone the practice and advise the receptionist that you would like to see a doctor urgently. A number of appointments become available for booking the same day. If we cannot offer you a suitable appointment, the receptionist will take your details and we will return your telephone call as soon as possible. The clinician will discuss your symptoms by telephone, and if he or she agrees that you do need to be seen urgently, you will be offered an appointment to be seen the same day. Alternatively, you may be given telephone advice, advised to attend your local pharmacy, offered a routine appointment, or advised to attend the nearest Accident and Emergency Department. The majority of GP and nurse appointments are ten minutes duration. Your appointment is booked for you only, so please do not expect the doctor to deal with the problem of a relative or a child in addition during your appointment. Please make a separate appointment for your child if they need to see a doctor as well as yourself. If you ask to speak to a particular doctor, regarding an on-going problem, your returned call may take a little longer depending on the doctor's scheduled working times. If your usual doctor is on leave, then they will have assigned a deputy who will try and help you in their absence. We recognise that intimate examinations by health care professionals can be distressing or embarrassing for patients. Wherever possible, you will be offered the security of having a chaperone present. If you are late for your appointment, you may be asked to rebook your appointment for another day and time. As a general rule if you are more than 15 minutes late for your appointment you may be asked to rebook.